If you notice a driver behaving erratically, keep a safe distance and do not try to pass the vehicle. A drunk driver may not be aware of your presence and may cause an accident before you can prevent it. If possible, call 9-1-1 and report a description of the vehicle and license plate number, but only if you can get the information without following too closely. A drunk driver may suddenly brake, change speeds, or change direction, causing a serious accident. If you or someone you know is hurt in an accident with a drunk driver, consider consulting with a drunk driving accident lawyer as soon as possible. An experienced attorney at Paul Dansker & Aspromonte can help you review your situation to determine if you have a strong case to file a lawsuit, and if so, can assist you throughout the process to pursue the compensation that you need. You may be entitled to payment for medical bills, lost income, recovery costs, funeral expenses, and / or pain and suffering. 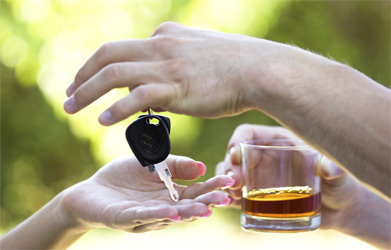 At Paul Dansker & Aspromonte, we are passionate advocates for victims of drunk driving accidents. Whether you have been injured by a drunk driver or have lost a loved one in a fatal drunk driving accident, we are here to help you obtain the compensation you deserve, while holding the drunk driver responsible for his or her actions. Our attorneys will aggressively pursue all avenues of compensation, so you can have the financial resources you need to rebuild your life. Contact us today online or by telephone at 800-510-9695 to speak with one of our experienced New York City drunken driving accident lawyers. The condition of toxic exposure happens when people are regularly put into contact with chemicals that are considered to be dangerous. Two of the most common chemicals that have been attributed to many lawsuits include benzene and asbestos. While there are more than seventy five thousand chemicals registered for use with the U.S. Environmental Protection Agency, only very few have actually been tested for risks to humans. Although you may not always realize it, NYC can be a hazardous place to live, even in seemingly safe areas. That is because there are many areas in which toxic fumes and substances can come into contact with the public and cause serious injuries. Exposure to toxic substances poses great health risks, and if you or a loved one has suffered an injury or health problems due to toxic exposure, you can contact Paul Dansker & Aspromonte Associates a NYC toxic exposure attorney for help as soon as possible. This is because of the grave seriousness of such incidents, as lingering health problems can persist long into the future, and even unfortunate deaths can occur due to toxic exposure. Our toxic exposure attorney at Paul Dansker & Aspromonte can consult with you regarding the details of the incident, and can let you know whether you have a case against an individual, business or entity. Sometimes toxic exposure can be easily avoided if only businesses and other entities followed safety guidelines and regulations. They have a responsibility to keep the public safe from such harmful fumes and substances, and if they are negligent in their duties, they can be found at fault. Paul Dansker & Aspromonte NYC toxic exposure attorneys will fight on your behalf to ensure you get all the help and monetary compensation you need and deserve, including payment for medical bills and treatment, pain and suffering, lost wages, mental anguish, and any major lifestyle changes that must be made if you develop more serious health issues as a result of the incident. 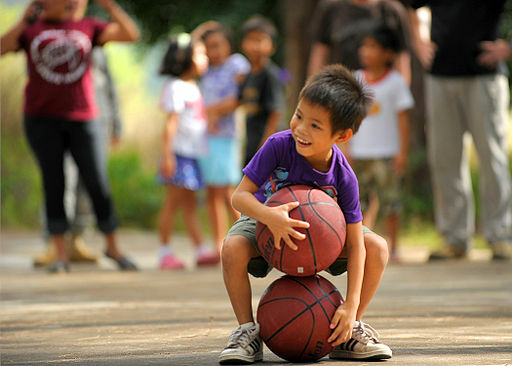 School sports are a great activity for many children and older students, but just because they are not major league do not mean that they are safe. In fact, school accident lawyers see cases all too often in which a child was injured playing in gym class or on a school sports team. Sometimes this is simply the result of an unfortunate accident, but other times, it may be because the school was negligent in ensuring the safety of its students or maintaining the safety equipment and protective gear properly. NYC recently announced that EMTs and certified trainers will soon be present at all schools in which there are varsity and junior varsity football teams, helping to reduce the risk of serious injuries. But football is not the only sport in which injuries can occur, and if your child has been injured playing sports in school, then it is in your best interests to contact a school accident lawyer today like Mr. Paul Dansker. Once you have given the details of your case to him during a free consultation, he can tell you if you have recourse for filing a lawsuit and whether not your child deserves compensation. Paul Dansker the school accident lawyer can investigate the case thoroughly to determine what exactly might have contributed to your child’s injuries and whether the school was negligent or at fault for the accident. School sport accidents are a very serious manner, and proper medical attention and treatment should always be a concern after any injury, no matter how slight, as future complications can sometimes arise. Paul Dansker led Dansker & Aspromonte Associates is a New York personal injury law firm specializing in serious brain injuries; medical malpractice, motor vehicle accidents, falls, construction accidents, municipal liability, injuries to children and more. It has represented thousands of clients and obtained hundreds of millions of dollars for them over the last 30 years. Contact today online or by telephone at 800-510-9695 to speak with experienced NYC burn injury attorneys. If you have been in a bus accident, your first instinct may be to place blame solely on the driver - which may or may not be correct. The truth is that responsibility for your crash-related injuries may rest only partially on the driver, or not on the driver at all. A variety of factors can contribute to, exacerbate, or influence the result of a crash; examining and understanding these factors is key to determining liability in any accident situation. The Driver - depending on the situation, the negligence or carelessness of the driver may be the main cause of the accident, and the driver may be held responsible in court. 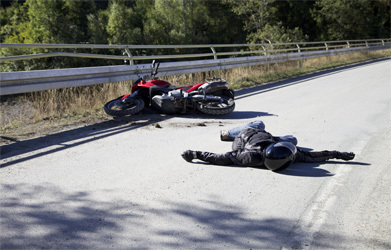 Driver fatigue and intoxication have all been shown to lead to serious crashes. The Bus Company - the law says that bus companies are at least partially responsible for the conduct of their employees. 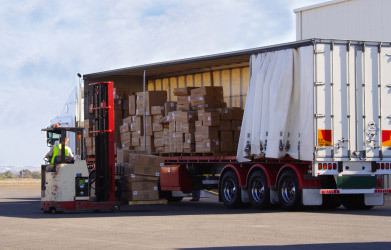 Furthermore, if a company overworked its drivers, failed to give them an adequate amount of training, or hired untrustworthy individuals as employees, it may be held liable for any damages resulting from its shoddy practices. Manufacturers/Repair Companies - in some situations, faulty manufacturing or design of a vehicle can lead to accidents. Improperly installed or maintained equipment, such as tires, brakes, and steering mechanisms, can also cause drivers to lose control and crash. Negligence or misconduct on the part of a manufacturer or repair facility may make them liable for your injuries. Other Drivers - reckless driving by individuals around the bus can distract the driver, block the road, or otherwise contribute to accidents. These individuals can be found liable in a court of law. Disruptive Passengers - if a driver has to deal with unruly or disruptive passengers while operating the bus, the chance of a serious accident increases. In some cases, passengers have even attempted to assault the driver while the vehicle was in motion. A bus accident lawyer or personal injury attorney with Paul Dansker & Aspromonte Associates can handle your bus accident case, seeking justice for you or a loved one who's been injured in a bus accident, and perhaps helping to reduce further accidents by holding faulty bus lines accountable. Paul Dansker & Aspromonte will determine who is ultimately most at fault, whether it's the owner, operator, driver or manufacturer of a bus. At Dansker & Aspromonte, we routinely navigate through the red tape to help protect our clients’ rights and get the maximum recovery available to them. Call for a free case evaluation and consultation with an experienced NYC attorney. Remember: Time is of the essence in bus cases and action must be taken quickly or you can lose your right to sue.